NotRock Records: LOUSY SMARCH WEATHER. There's actually nothing lousy about March at all, in fact even the weather is quite nice (although we are really hoping for at least one snowstorm this winter). Since we last left you many a thing have transpired or began to germinate in this little (but rapidly multiplying) music community. This month we say goodbye to our pals the Young American Artists (whose last show was nothing short of amazing). But while some creative forces leave this world behind other new ones emerge and even some relics of the past break surface this month and start to bloom. Lots to talk about so away we go! First off if you were not at the last Young American Artists show you missed out. 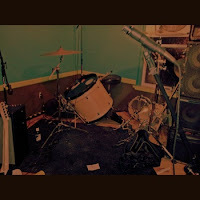 They went out with a blaze of scorching guitars, thunderous drums, and a room full of nuclear vociferations. Luckily for us (as well as those who missed this awesome show) an amazing live recording was made of their entire set and is already available for free download (as well as the rest of their discography) via youngamericanartists.bandcamp.com We implore you to check it out! Okay now that we've explored misty-eyed territory lets move onto something HUGE! SO HUGE that we can't tell you much about it (mainly because well, frankly we don't know much). There is a new band on the scene called Off Camber. There seems to be four people in it whose names appear to be Megan, Adam, James, and Ned. They have several shows scheduled the first of which occurs Friday March 9th the second March 31st. We have a strong hunch this is something you don't want to miss. WOW! We really didn't see this coming. Just when you couldn't be more annoyed with how long it's taking Please Exist to finish and put out their record they've dropped a live E.P. to hold you over. This was recorded by Kevin Carafa on July 2nd 2011 during the Paul's Church Retreat weekend extravaganza. This as said is "live" so it is presented as it was played, mistakes and all. Because of that and the ferocity of this recording there is a level of charm that could rival the sterility of many studio records. It can be streamed from here. Please check it out! A download will be available soon from the main church retreat web page which we're told will be up and running in the very near future. 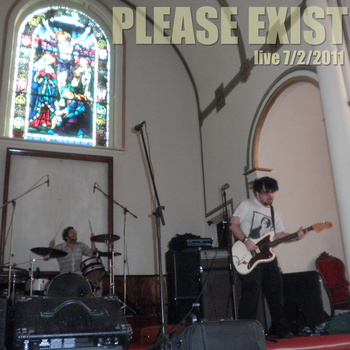 Also of note: there is a plethora of new Please Exist shows booked so check out there bandpage for the deets. Next up: Feu de Joie! There's a name we haven't tossed around in quite some time but don't get too excited, they aren't playing any reunion shows anytime soon. However something excellent is happening concerning everyones favorite noir-pop band. It seems that way back when Feu de Joie recorded their masterpiece Protostar they also tracked a tune that was not fodder for their planets album. "Love Song" is the name of it and the recording was intended to be used on what would have been the third NotRock Sampler had it come out back in 2006-2007. Obviously that did not happen and "Love Song" sat around the NotRock archives waiting to be heard on the Tenth Anniversary NotRock CD (which is still happening it's just been a bit delayed) yet still it sits. The fact of the matter is that this song was a fan favorite at shows and a favorite in general with the band and quite frankly the recording of it deserves to be heard. So what are we getting at? We dug the recording up and as remembered, it is awesome so we are releasing it to public ears later this month. Rumor has it there may even be a super limited run on CD. More to report on that soon. Work on Khantra's Self-Titled 10th Anniversary rerelease continues. It was quite the task hunting down the original elements used to put that album together but thankfully, just recently, some missing pieces (that were not properly archived) have been located. All the puzzle pieces are now in the right hands and the project is going forth as planned. We'll keep you updated as this most exciting release nears completion. Predictions are slating it for an early summer release date. Last but not least is John's Super Awesome Fun Birthday Show! It seems that guy who is always yacking about NotRock this and NotRock that is turning a very old age this very month. 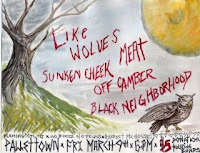 What better way to celebrate than to have a show featuring many a NotRock friend and family? 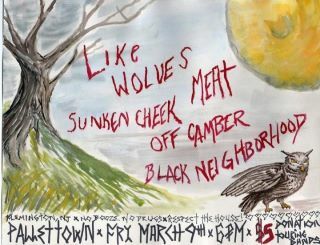 It takes place March 16th in Byram N.J. and it will feature Please Exist, Disseriph, Lucas Brode, Melissa & Paul, Annoying Customer, & Insouciant. Info is HERE. Well I reckon that's all the news fit to print for this post. Have a super swell March! Hope to see you at one of the upcoming shows.